If you’ve attempted to make sense of today’s business communication tools only to become frustrated and overwhelmed, you’re not alone. Communication technology and what the technology can accomplish is evolving at a lightning fast pace. It’s almost as if you have to dedicate yourself to learning about and specializing in communication tools for business before you can accomplish anything. Except there’s another way to approach the need for updated communication tools that actually works and is actually easy. An Easy Button for Business Communication Tools? Now, I get it. There’s a lot to consider when it comes to business communication tools, especially as you look toward the new year and consider what decisions can positively impact your organization’s efficiency without costing an arm and a leg. I have seen first-hand the massive change businesses can experience once their employees have access to communication tools that they want to use... Communication tools that all work together in a seamless stream of communication. Where one employee can send a chat, another can make a phone call and the next can receive their voicemails transcribed directly into their email. When employees have business collaboration tools that work, they use them. They communicate with each other because it’s no longer a painful experience to do so. And for businesses today, that can make all the difference. But how can it be easy? With Marco’s unified communications offering: UCaaS. Unified Communications as a Service, UCaaS, is an easy way for businesses to prioritize communication tools. Unlike old systems where businesses had to make massive capital purchases and deal with managing and maintaining their communication tools and technology, UCaaS is delivered as a service. Businesses finance the devices and receive the service as a monthly subscription. 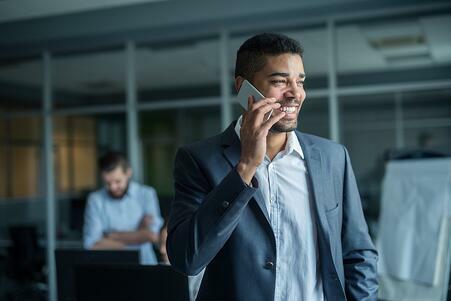 Under UCaaS, you can consolidate all communication-related vendors into one, and your employees always have access to upgraded communication tools and software. Want to see UCaaS in Action?